LOS ANGELES (AP) — To misquote “A Star Is Born,” awards shows were far from shallow in 2018. Many confronted sexual misconduct in the entertainment industry head on, but as a new year kicks off with the Golden Globe Awards on Sunday one question lingers: Will it continue for another year? 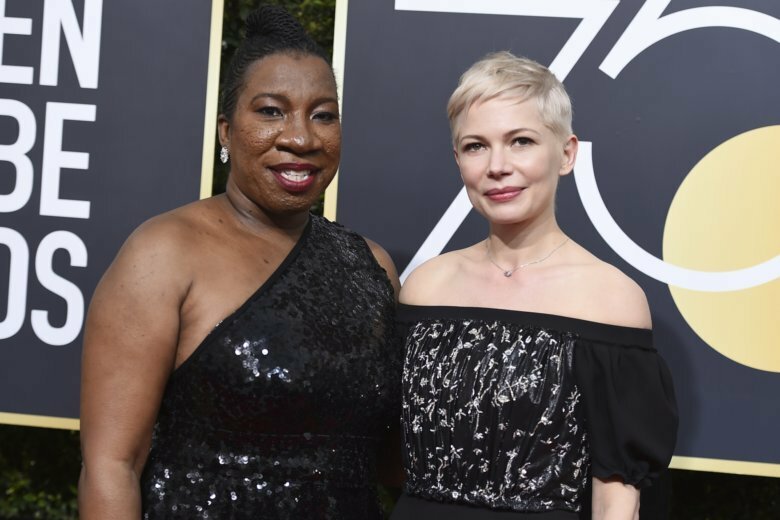 For an event that’s more known for its boozy moments than promoting social causes, the Golden Globe Awards went all in as the first major show of the #MeToo era last year. It embraced the newly formed Time’s Up Legal Defense Fund , the red carpet was overtaken by a symbolic sea of black dresses, major stars walked proudly alongside activist leaders, Oprah Winfrey gave a barn-burner of a speech about empowerment and Natalie Portman even got in a jab about the all-male directing nominees while presenting the best director award. “Not to ignore anything, but we spend so much time every day wallowing in a lot of things that are happening in our world that are really depressing, and with good reason — that stuff needs to be paid attention to — but there’s also power to being positive and celebratory in the tougher times as well,” Samberg said.